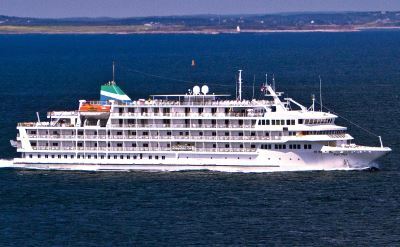 Pearl Seas is a luxury small ship cruise line that offers cruises to Cuba out of Fort Lauderdale, Florida. They go to more Cuban ports than any other cruise line. The full schedule of departures is below. The Pearl Seas modern small ships can get into harbors that larger ships cannot. The ship that sails from Florida carries only 210 passengers. 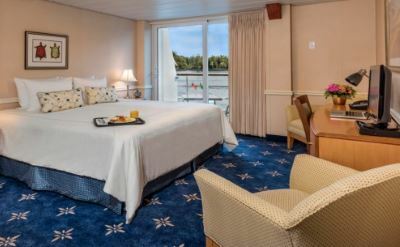 Staterooms are large and comfortable. There is a spacious dining room and six lounges and open decks for relaxing. 11-night cruise to Cuba on Pearl Mist. Round-trip from Fort Lauderdale to Havana (Cuba)(overnight), Cienfuegos (Cuba), Trinidad (Cuba), Casilda (Cuba), El Cobre (Cuba) and Santiago de Cuba (Cuba). • 2019 departure: October 24. • 2019 departure: November 15. • 2019 departure: November 26. • 2019 departure: December 18. • 2020 departure: January 15. • 2020 departure: January 31. • 2020 departure: February 14. • 2020 departure: February 29. • 2020 departure: March 26. • 2020 departure: April 6. • 2020 departure: April 17. • 2020 departure: November 13. • 2020 departure: December 16.